In most cases the settings page will be configured by the person or organisation that installed the cms. Some parts of the settings are only for technical modifications. At the top of the general settings you get warnings about important parts that aren't configured yet. The general settings let you change some parameters that affect the whole website, independently of page, module or theme. The first parameter is a good example of such a setting, the website title will be used on different places on the website including the header and footer. Pro tip: It’s not possible to change the default language in the cms (backend) but that can easily be done in the configuration. See the SITE_DEFAULT_LANGUAGE global in /library/globals_frontend.php. The languages allow you to prepare extra languages before publishing it for your customers. The fork API keys are automatically generated for other applications to connect with your website. The Akismet is a spam filter service, it is free for non-business personal websites or blogs. 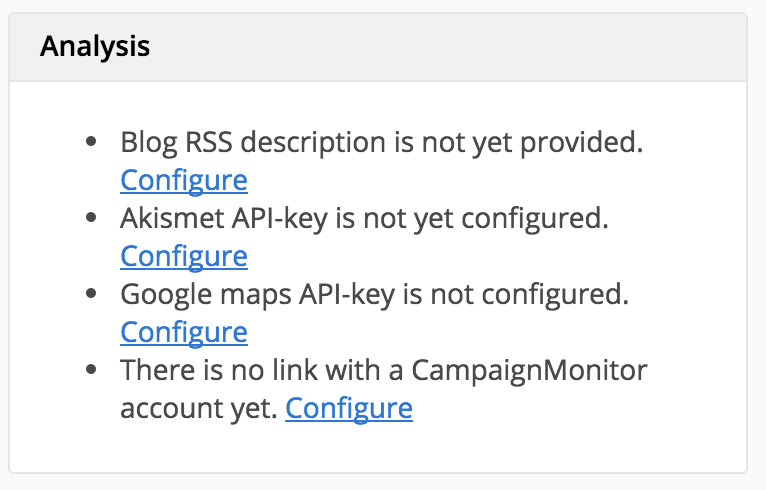 You can request a key at https://akismet.com/signup/. After inserting the key the spam will automatically be filtered. The CKFinder-plugin for CKEditor to allow people to upload and manage files through the editor. 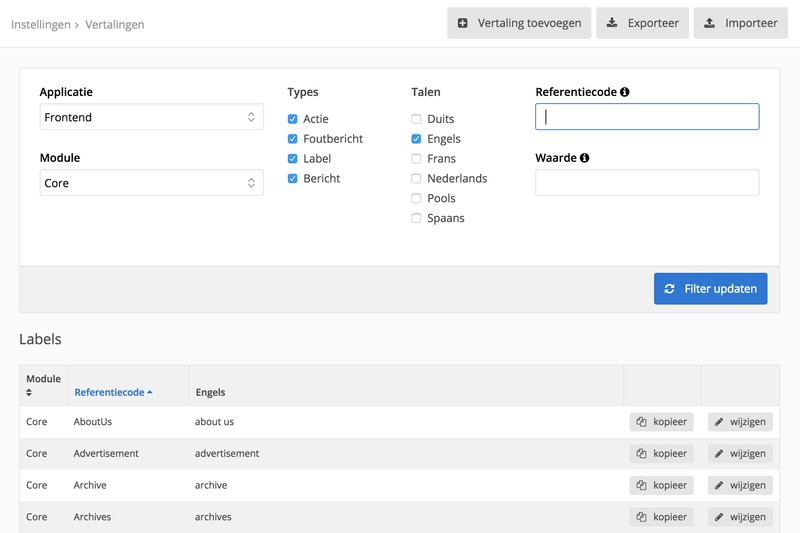 CKFinder isn't a open-source so Wijs, figure8 and SumoCoders sponsort an OEM-license. Adding a Facebook admin id allows the administrator to view the website in Facebook Insights. If you optionally provide an application id and an app secret, it will allow you to see extra app related interactions in the Insights. The more advanced settings are specially for the dedicated technical people. Although every administrator should change the names and email address where the cms will send from. Every word of the website can be edited in the cms. Use the filter panel at the top to find the text you want to change. More about how the translation works is explained in the theme guide. The users are logins that can be used to access the cms (backend) or the API. The best case is that every person or application has his own login. 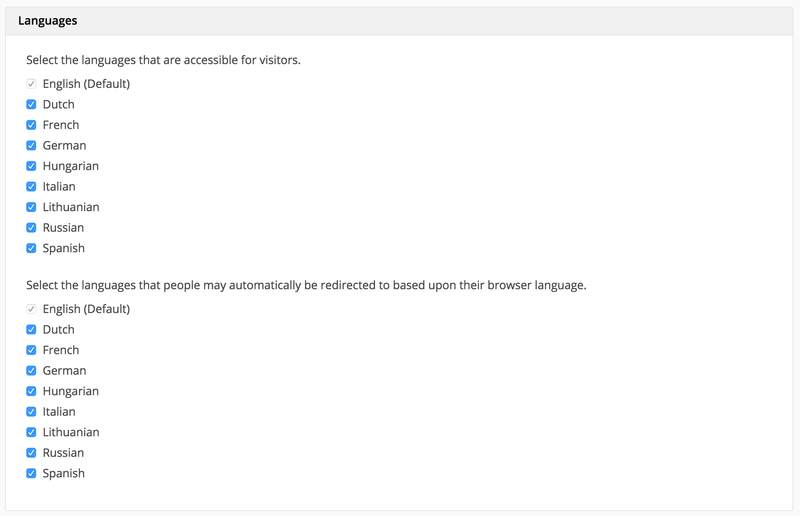 The permissions of these users are set by groups. 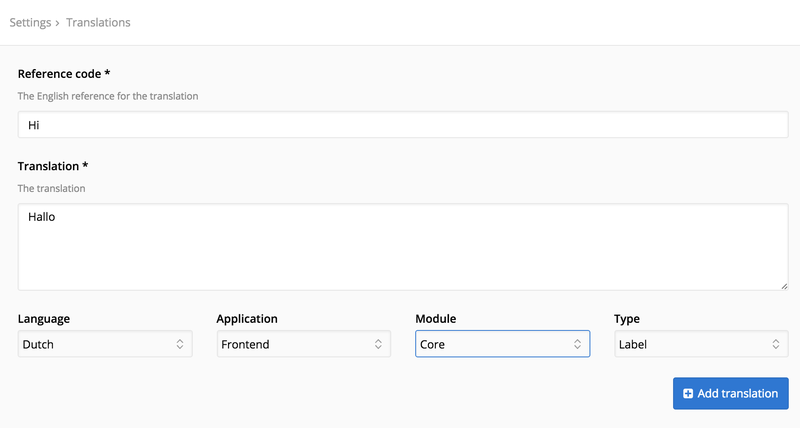 The overview shows the installed and uploaded modules, furthermore it allows you to upload another module. The other pages are module specific settings. 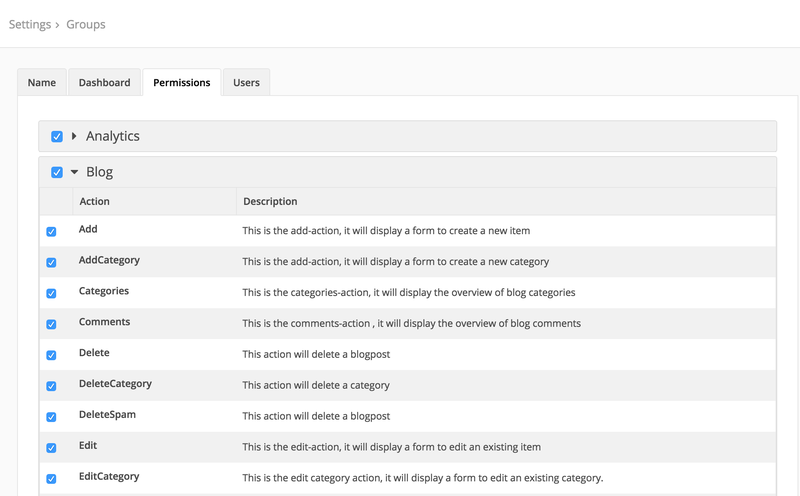 The metanavigation functionality is dependent on the theme, make sure your theme is compatible before enabling. The most interesting settings for the search modules are the weights. The higher the weight is the more important the module is. The most important modules will appear first in the search results. See the in depth article about linking a Google Analytics account. The custom price functionality in the Mailmotor settings is made for companies that deploy websites without settings permissions. This enables them to charge an extra percentage on the Mailmotor prices. Just as the module overview, the first page in the themes settings shows the installed and uploaded themes, furthermore it allows you to upload another theme. Click on the desired theme to change your layout, but don’t forget to press the save button. The templates section let you create, update and delete templates. See the theme guide for further information.